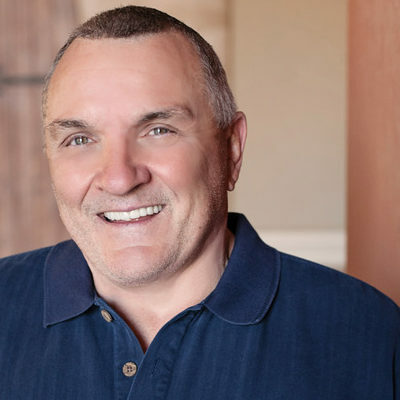 Rudy Ruettiger is a motivational speaker and author, and best known for being the subject of the movie, Rudy. Rudy talks about anonymous helpers in his life, and the rules he lives by. Listen in as Rudy talks about his own brand of positivity. 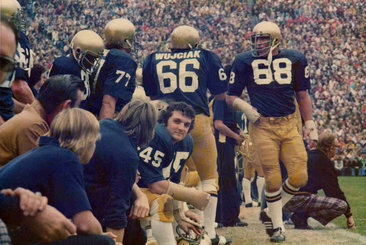 [2:33] Despite his small stature, Rudy was a walk-on for the Notre Dame football team. He first had to meet the academic challenge of getting into Notre Dame. Playing on the football team, he says, was just a matter of hanging in there and not giving up. [3:48] Rudy was a little older, having just come out of the military, and he hadn’t played organized football for years. Rudy says getting the movie made was as hard as being on the team. [8:49] Rudy was inspired by Sylvester Stallone, and how he fought his challenges to reach his dream of making Rocky. He didn’t listen to negative voices, but surrounded himself with supporters, and relied on his faith in God to follow the path he felt to follow. He recalls a moment he shared with Sylvester Stallone when they met. [17:08] Eliminate negative people from your life, and be with people who want to help you. Rudy talks about a bad business experience that he let go, although it was very expensive to him. [21:26] Rudy had a special helper, and knows he would not have gotten through the tough times without him. He says this person does not need or want public recognition. It is enough that he was there when he was needed. [27:46] Rudy became a motivational speaker, in spite of being “a terrible speaker.” He just wants to communicate, authentically. Rudy captivates audiences with a natural connection. [30:53] Rudy only quits things if he doesn’t believe in them. It’s energy and time wasted to pursue things that are out of line with your values. Rudy does what he does, because he loves it. [35:03] The Rudy Foundation is run by Rudy’s ex-wife, for youth. Rudy’s legacy is to inspire people to do what they love, and to persist. Forging relationships, leads to opportunity. Leaders stick to it, and adapt as needed. Asking for help can lead to success. Listen to those who say you can do it; ignore those who say you can’t. Outwit the devil, by being positive. The way to get out of being stuck is to quit doing what you’re doing. Happiness comes in supporting people in their happiness. 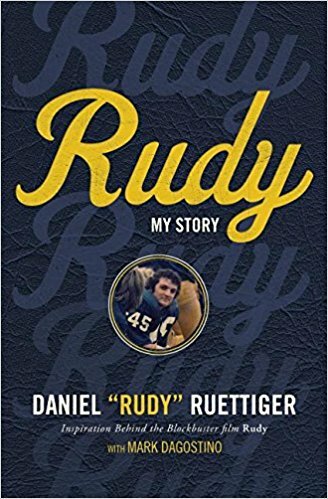 Against all odds on a gridiron in South Bend, Indiana, Daniel “Rudy” Ruettiger, in twenty seven seconds, carved his name into history books as perhaps the most famous graduate of the University of Notre Dame. The son of an oil refinery worker, and third of 14 children, Rudy rose from valleys of discouragement and despair to the pinnacles of success. Today, he is one of the most popular motivational speakers in the United States. It took years of fierce determination to overcome obstacles and criticisms, yet Rudy achieved his first dream — to attend Notre Dame and play football for the Fighting Irish. As fans cheered RU-DY, RU-DY, he sacked the quarterback in the last 27 seconds of the only play in the only game of his college football career. He is the only player in the school’s history to be carried off the field on his teammates’ shoulders. In 1993, TRISTAR Productions immortalized his life story with the blockbuster film, RUDY. Written and produced by Angelo Pizzo and David Anspaugh, the award-winning team who brought us HOOSIERS, the critically-acclaimed RUDY received “Two Thumbs Up” from Siskel and Ebert, and continues to inspire millions worldwide. 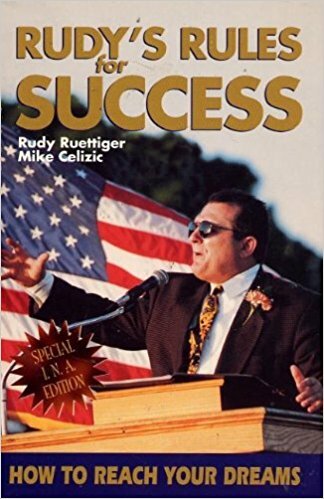 Today a highly sought-after motivational speaker, Rudy entertains international corporate audiences with a unique, passionate, and heartfelt style of communicating. He reaches school children, university students, and professional athletes with the same enthusiasm, portraying the human spirit that comes from his personal experiences of adversity and triumph. His captivating personality and powerful message of “YES I CAN” stays with his audiences forever. Rudy’s opening remarks receive thunderous applause and standing ovations from audiences of 200 to 20,000 people who emotionally chant RU-DY, RU-DY! 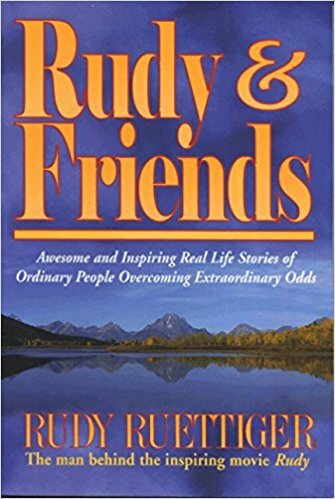 Rudy has appeared on various high-profile nationally televised talk shows and radio shows across the country, is featured in national magazine publications, and has been honored with the key to many cities in the United States, with special proclamations for his inspiration, commitment, and human spirit. Rudy received an Honorary Doctorate Degree from Our Lady of Holy Cross College, the Distinguished American Award, A Proclamation from the Governor of Nevada granting an Official Rudy Award Day, was inducted into the Speakers Hall of Fame, and spoke at the White House during the presidencies of George W. Bush and Bill Clinton. 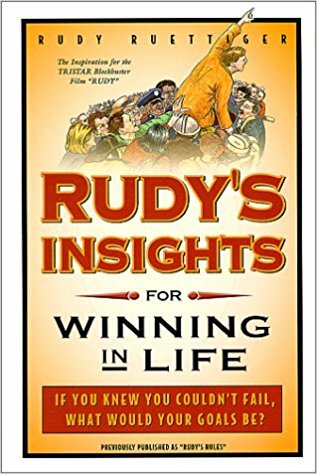 In addition to his motivational speaking, Rudy has co-authored several books, including: RUDY’S INSIGHTS FOR WINNING IN LIFE, RUDY’S LESSONS FOR YOUNG CHAMPIONS, RUDY & FRIENDS, THE RUDY IN YOU, and RUDY: MY STORY. He co-founded the RUDY FOUNDATION, whose mission is to strengthen communities by offering scholarships in education, sports, and the performing arts. The Rudy Foundation makes a positive impact by bringing people together. 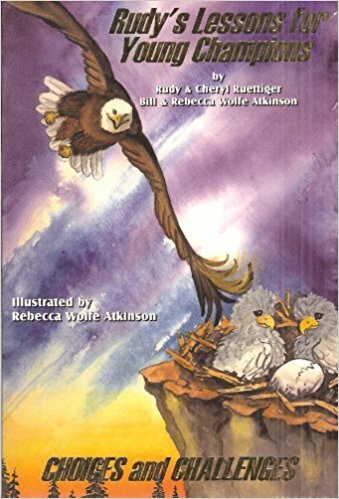 The Rudy Foundation develops and supports programs that positively impact the lives of children cognitively, emotionally, physically, and spiritually. 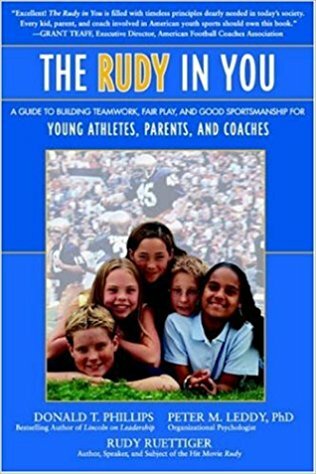 The RUDY AWARDSTM Program was created by the Rudy Ruettiger Foundation to recognize children who make an outstanding, exceptional effort to do their personal best everyday, overcome obstacles, set goals, stay on track to reach their Dreams, and build the qualities of Character, Courage, Contribution, and Commitment into their lives everyday. The RUDY AWARDSTM is about a child’s heart, will to change, and desire for self-improvement. Rudy has two awesome children: Jessica Noel Ruettiger and Daniel Joseph Ruettiger. These are the books mentioned in Rudy’s podcast.